Losing your home is one of the most devastating thing that can happen to anyone. That devastation is magnified a thousand fold when you’re also possibly losing your family, everyone that you know, and your country. Oakville feels for Syrians Refugees who are facing one of the biggest challenges any human can endure and aims to help those in need to help them heal and get back on their feet. This extensively renovated, over 3,700 square foot home sits on a premium 75’ x 216’ (irregular) ravine lot. It boasts beautiful design work by Pure Bliss Creative Design. Upon entering the foyer, the home opens to a large formal living room with vaulted ceiling, crown moulding, and maple hardwood flooring. The gas fireplace in the centre of the living room sets the warm, cozy tone for the home. A piano alcove overlooks the covered porch and the beautifully landscaped front yard. The main floor den overlooks the sprawling, rear landscape, and the family room offers a separate entertainment area for friends and family to enjoy. Both den and family room could easily be converted to ground level bedrooms, as they include generous closet spaces and built-in cabinetry. Updated powder room features marble flooring, furniture style vanity, chandelier, and a natural stone accent wall. 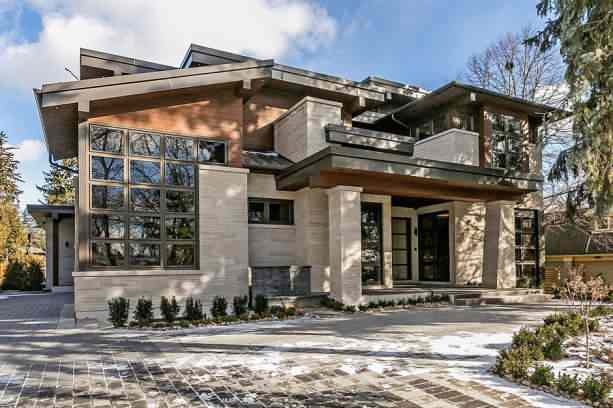 This consummate South East Oakville custom residence was born of the renowned architecture of Bill Hicks and the unparalleled craftsmanship of Coulson Fine Homes. Hand chiseled Indiana Limestone construction with copper eaves and downs create enviable curb appeal. Southwest exposure. Feng shui elements were considered in the overall design to promote harmony, balance and comfort. Ceiling heights of 10 to 12 feet on the main and upper levels blend with skylights and plentiful windows to create the refreshingly bright and airy feel you’ll notice throughout. Upgraded carriage style home in a desirable pocket of Joshua Creek. This home offers 4 bedrooms and 4.1 bathrooms over 5,500 square feet of total finished living space, on a professionally landscaped lot with in-ground saltwater pool. Intricate millwork and high-end materials contribute to a custom feel throughout the home. Stunning fully renovated home situated on a fully landscaped 48’ x 150’ lot in the heart of Old Oakville. Enjoy the welcoming feeling as you enter the home and experience the oversized front foyer. The large dining room is perfect for those who like to entertain with easy access to the beautiful kitchen with large island. The bright family room offers floor to ceiling windows over looking the backyard. Master baths are the homeowner’s one guilty pleasure when it comes to building or renovating a home. It is no secret that exquisitely beautiful master baths adds a lot of value to the home and makes one feel like a King (or Queen!). From built-in sauna rooms, indulgent tubs, and eye-candy views, here are our 9 suggestions to make your master bath extra special.